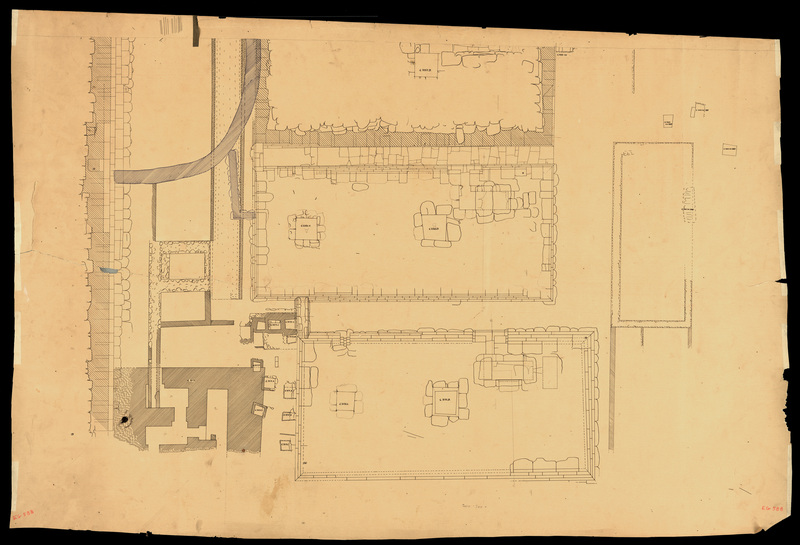 Labeled sheet 16; scanned as litho negative but not including colors of original large scale drawing. G 7000 SW __ touches s side of G7050 at top of map. Per diary pages, this is most likely G 7000 SW 33.